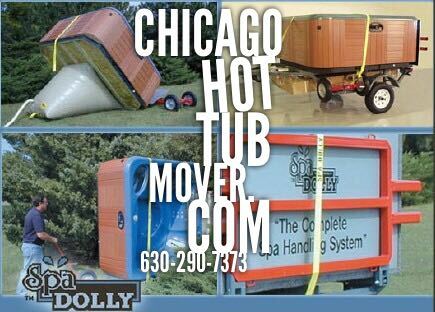 Alan - Joliet If you need a spa moved, these are the ONLY guys to call. I bought my spa from a chain store that offered delivery from a nationwide mover. I went with Paul and based on the testimonials I read. They picked it up at the store, brought it to the house, and had in the back yard faster than I would have expected. They also took the time to show me the features of my spa and showed me how to open it and a couple of facts to know about to watch out for. Awesome great job guys!!! Thanks so much for the great spa moving job - Upstairs - UNBELIEVABLE. Thanks again, You sure make it look easy - Easy it is not! Leveling the spa was done with terrific expertise, wow. Open the spa door in any position - The door remains in the position you opened the door - Does not swing either open or close unless one moves the door.